My lovely blogging friend Polly sent Wilf this book for his birthday. I'd heard of it lots but never actually read it before then. It's lovely! What is the story behind it? We are reading the Usborne books at the moment where you find the duck on each page. 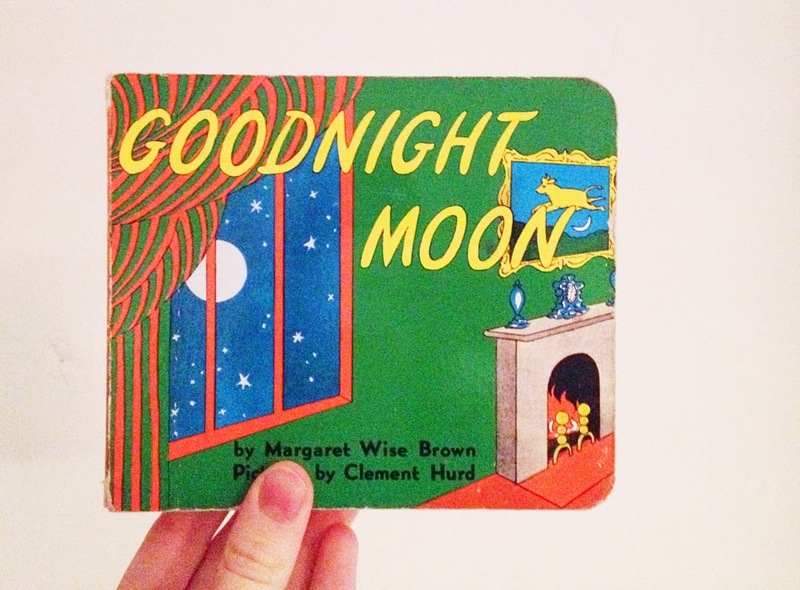 We received Goodnight Moon as a gift, and I know that it is a classic, but I am not a big fan. The old woman, who is actually a rabbit, kind of freaks me out. I like books with a little more substance. 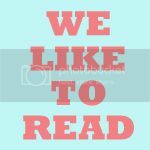 We Love to read. Can't seem to get enough of it! We're bookworms in our house. I'm enjoying reading the Percy Jackson books with my youngest at the moment. My eldest is seriously into Diary Of A Wimpy Kid - went ape when we recorded the movie for her! We are working our way through the Mr Men books at the moment. I had forgotten how hilarious some of them are. Ooh, that looks nice! We're reading Pirate Pete's Potty, wish me luck, eh?! That looks lovely, not heard of it before. We read oodles of books in our house - 3 year old loves them! Good to know about your Linky, is it the same time every month? My 11 year old is Reading Junk by Melvin Burgess.My 8 year old is reading one the diary of a wimpy kid books.My 5 year old is reading through the the songbird phonics books by Julia Donaldson.I'm just about to start reading The Game of Throne series. I love this linky. I don't read much, but really I should. I have a few unread ebooks on y computer htat have been laying there for months if not years. I've heard of this book but I'm not sure we've ever read it. Never heard of this book! I think I shall have to hunt it out.